While on vacation in Paris, protagonist Gil Pender is dragged along on a late-night adventure with what seems to be notable 1920s writers, artists, and musicians. I love seeing incredibly accurate portrayals of some of my favorite artists and dreaming of what it would be like to travel back to what I deem a golden age - the premise of the film. Different people long for different "golden ages," and any time period will eventually become a dull "present" to those living it. 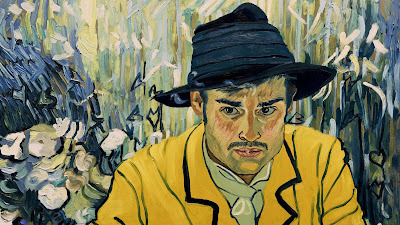 I'd be surprised if you haven't heard of Loving Vincent. It came out in 2017 and the entire film is depicted in oil painting animation - the first of its kind! The premise of the film is the life of now-famous painter Vincent van Gogh, and in particular, the suspicious circumstances surrounding his death. I thoroughly enjoyed the plotline, but it's worth watching just for the beautiful 65,000 hand-painted frames. And good news: it's available on Hulu. 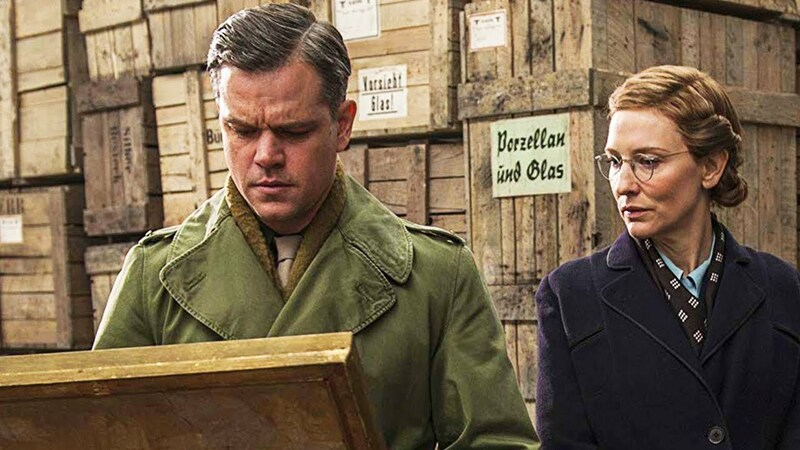 This movie is loosely based on the book The Monuments Men: Allied Heroes, Nazi Thieves and the Greatest Treasure Hunt in History by Robert M. Edsel. In real-life World War II, the Nazis were known to steal paintings and hide them away (or display them at the Führermuseum). Some over-the-hill art scholars, historians, architects, and other experts - without a military background - risk their lives to retrieve as many of the stolen masterpieces as possible. This one isn't necessarily directly art history-related, but if your secret dream (like mine) is to be a museum curator, this romantic comedy gives you a good look into what that would be like - at the Guggenheim, no less! Have you seen any of these films? If not, watch them & I'd love to hear what you think!